Here's another quote about shadow beings AKA fliers according to Yaqui Shaman Don Juan Matus. Shadow beings are also known as the Archons of the nag hammadi text(ancient christian gnostic text founded in 1945 Egypt). Gnostic and shamanic parallels are uncanny. "This is the appropriate time of day for doing what I am asking you to do. It takes a moment to engage the necessary attention to do it. Don't stop until you catch that fleeting black shadow." I did see some strange fleeting black shadow projected on the foliage of the trees. It was either a shadow going back and forth or various fleeting shadows moving side-to-side or straight up in the air. They looked like a fat black fish to me, enormous fish. It was as if gigantic swordfish were flying in the air. I was engrossed in the sight. Then, finally, it scared me. It became to dark to see the foliage, yet I could still see the fleeting black shadows. "Long ago, the native sorcerer/shamans of Mexico discovered that we have a companion for life," he said, as clearly as he could. "We have a predator that came from the depths of the cosmos, and took over the rule of our lives. Human beings are its prisoners. The predator is our lord and master. It has rendered us docile; helpless. If we want to protest, it suppresses our protest. If we want to act independently, it demands that we don't do so." Edited by JohnHermes, 14 March 2019 - 02:40 AM. Seeing 'shadows' is of course quite common. A lot of the shadows people see are just that - shadows, but many are indeed intelligent entities and other types of intelligent beings. The better of a look you get at a 'shadow' the easier it is to tell whether you're 'just seeing something' (fooling yourself) or actually seeing an intelligent entity or being. "... a predator that came from the depths of the cosmos." I'm familiar with a variety of 'shadow beings'. They're all over. Some merely observe people, some actively try to manipulate people. Some act alone, some act together. Some have bodies beyond the shadows people see. Some are created by humans or by other intelligent beings present here (created as thoughforms), and some have other, older origins. These older ones have been in the business of manipulating mankind for a very long time and you could certainly refer to them as predators "from the depths of the cosmos". Edited by True North, 14 March 2019 - 07:15 PM. What book is that quote from JH? Back in my 20's, I read the first three books from Carlos Castaneda The Teachings of Don Juan: A Yaqui Way of Knowledge; A Separate Reality; and Journey to Ixtlan. It's a great exploration of "alternate realities", but, one must remember they were hallucinogenic experiences. His writings have been challenged as expected. There may be partial truths to his books but separating facts from fiction when you're hallucinating from jimson weed, datura root, peyote and other potent mixtures is a difficult task. Edited by EVP, 25 March 2019 - 07:42 PM. Yes, Hallucinogens do produce phantom projections and experiences that's all in their head, but they also can trigger sense perceptions to perceive other realms. The line between that I believe depends on the amount of astral energy a person has acquired. Hallucinogens are known to spark or raise those energies. DMT (The shamans drug like peyote as you well know) creates a "breakthrough" to other realms which we really perceive by stimulating the higher chakra points aka assemblage point. He was doing other practices besides drugs to induce more shamanic experiences. Don't forget lucid dreaming and astral projection. The dream training is very real (I myself practice dream yoga). I attest to his works and there's 1000's of experienced dreaming/astral projectors that can attest. Google "tapatalk forums sorcery". I'm been in contact with a neophyte shaman who studies under Don Juan in one of the astral realms of the 7 gates. Edited by JohnHermes, 28 March 2019 - 03:47 AM. 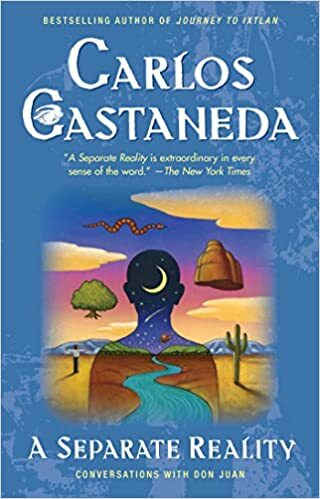 @cold spot Carlos Castaneda "A Separate Reality"
Edited by JohnHermes, 28 March 2019 - 02:56 AM. The above book I have read. Plenty of skeptics believe it was contrived. For myself, I require evidence that is physically captured or a collective experience, otherwise it's purely anecdotal. Good story telling but lacks any form of proof. Yet proof in this field is 100% subjective. Edited by EVP, 28 March 2019 - 08:00 AM. Facts can be falsified, making them longer facts. It is subjective. You can either come to the conclusion that they're either are lying, crazy, or telling the truth. A lot of skeptics don't even bother with any of practices to enhance their intuition(as i've talked to many, mostly just read the books.) Their opinions aren't valid (unless you can seriously say you tried these practices over the years and nothing came about it, then yes I will listen to a skeptic with actual experience). There's people with collective experiences on those forums I mentioned for you to google. Edited by JohnHermes, 28 March 2019 - 10:50 AM. I plan on reading that book in the future. Is there any other novels out there on this subject? If so, please let me know. Google "Ken Eagle The Wanderere" @ectoplasm. Here's got some good stuff. 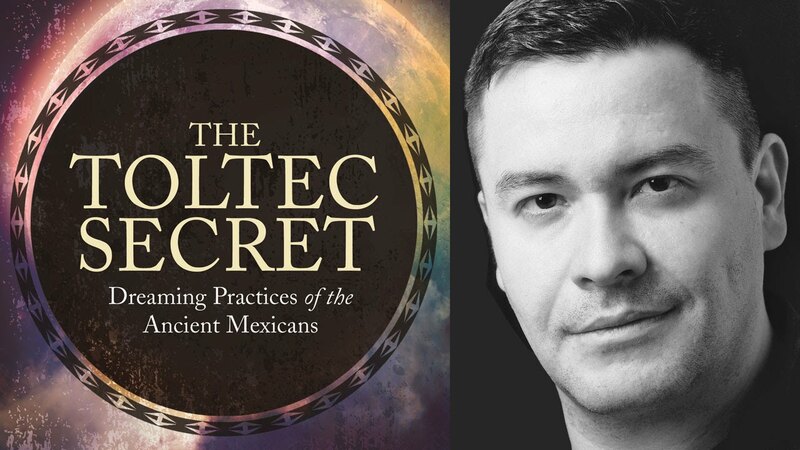 Also sergio magana "toltec secrets"